Most of the time we see women as symbols of compassion, kindness and overall being pretty damn loveable. However, there are certain women that have committed crimes that would make even the toughest of men shake with fear. You might think of them as hysterical or unbalanced but really what they were was just plain evil. 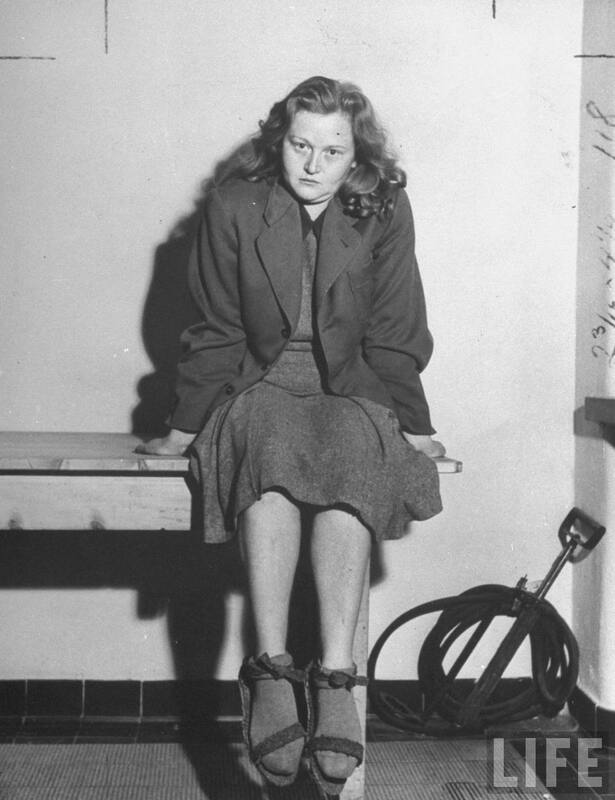 Ilse Koch used her husband’s positon as a Nazi enforcer at various concentration camps to torture the prisoners for her own enjoyment. It is said that she asked officers to remove the tattooed skin of the captured so that she could have them turned into lampshades. She was one of the first well known Nazi’s to be tried by the United States military. Don’t worry though, this murderous vixen got what was coming to her and eventually committed suicide whilst in custody for her crimes. 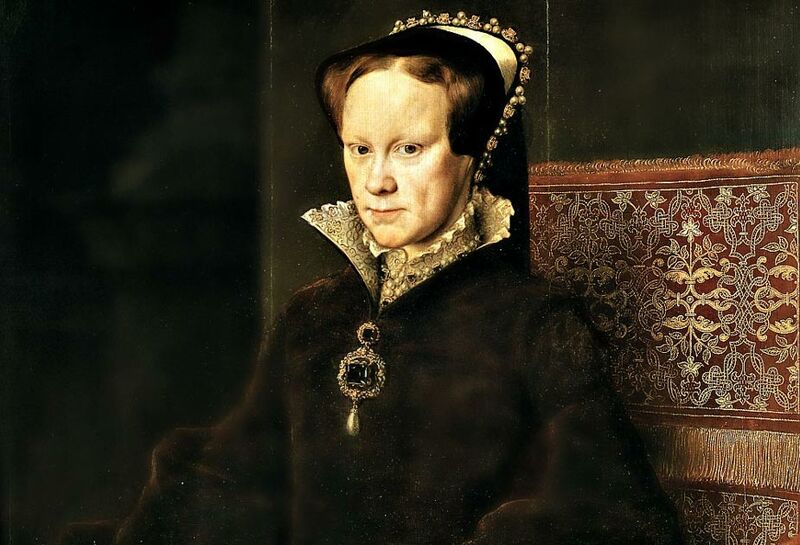 Queen Mary I of England got her nickname Bloody Mary because of just how brutal she was towards the Protestants. Religion has constantly played a part in wars and feuds even in the Tudor period. Rather than accept the new religion in her country Mary used her power to order the slayings of an estimated 300 Protestant believers. Of course she never lifted a finger or got splashed with the blood herself, she had her minions do it for her. She was a Queen after all. Belle Gunness is said to be one of America’s most productive female serial killers ever. She basically made a business out of it! The Norwegian-American mother not only poisoned most of her children but all three of her husbands, she cashed in on their life insurance policies and then moved onto her next victim. Researchers estimate she murdered nearly twenty people over three decades. K Although she was never caught, she has remained a part of American folklore ever since. Katherine Knight wasn’t just a murderer, she was sadistic and downright evil. Not only did she stab her lover over 30 times she then went on to boil his body parts and remove his skin. Even more unimaginable she didn’t just plate up her dead partner’s head, she served it to her husband with vegetables. Apparently, it all escalated from a silly argument. Knight was immediately brought to justice and was the first woman in Australia to receive a life sentence without the possibility of parole. Irma Grese or the Beautiful Beast or the Hyena of Auschwitz whatever you want to call her was the youngest woman to die under British Law in the 20th century. During her trial survivors of Grese’s abuse recounted the horrendous acts they witnessed, from letting starving dogs eat prisoners to random shootings, Grese apparently revelled in the atrocities. Forever the sociopath during the trial Grese remained defiant and according to some her final words before she was hung were “Quickly”. Leonardo Cianciulli kept her body count low, well for a serial killer anyway. Nicknamed the Soap Maker of Correggio Cianciulli murdered three women before cooking their remains into soaps that she would later bathe in. While that itself is enough to turn your stomach, Cianciulli was apparently doing it because her mother had put a curse on her. The apparent curse caused havoc for Cianciulli and she suffered through a total of 17 pregnancies. What is even more shocking is that she was sentenced to a mere 30 years in total for her crimes. Wu Zetian was China’s only female emperor and the records about her are iffy at best. What is known is that not only did she strangle her own infant daughter but poisoned the rest of her immediate family just because she didn’t want them to ever overthrow her. It’s important also to note that in order to get to the level of Empress, she had to do a lot of bed hopping and back stabbing. So, not only was she paranoid but she pretty much left nobody to run the ship once she died. Mary Ann Cotton was Britain’s very first female serial killer. While her estimated death toll hangs around 20, she was only ever convicted of murdering her step son. Her weapon of choice? Arsenic. All three of her husbands died from gastric issues (or so they thought) and 11 of her 13 children died from similar problems. It wasn’t until after two decades the local newspapers started to notice that Cotton had been living around Northern England offing everyone that was related to her. Elizabeth Bathory de Ecsed was possibly the most horrendous woman there ever was. Not only was the Hungarian Countess solely responsible for luring over 600 young women into her castle but once she had tortured and murdered them, she would bathe in their blood, apparently to maintain her youth. According to historians, stories and tales of the Blood Countess spread throughout Europe and forced the authorities to arrest the royal serial killer. Although it was clear she was guilty, the King of Hungary didn’t want people to think negatively of the noble family so instead of sentencing her to death she was put on house arrest until her death a few years later.